It makes the house and garden colorful and romantic. These cute lights is an excellent gift choice for your kids, family and friends. The solar lights add warm, joyful and festive ambience to delight your home, garden, patio, lawn, party and holiday. ✔High quality with long service life. ✔Solar powered, built-in light sensor, charged at day time and automatically turn on at night. ✔There are two switches - Power (On/Off) and Mode(Steady/Flashing). ✔Waterproof Solar Lights, durable for daily use,Low heat generating, energy-saving and environmentally friendly, perfect for indoor and outdoor decorations. 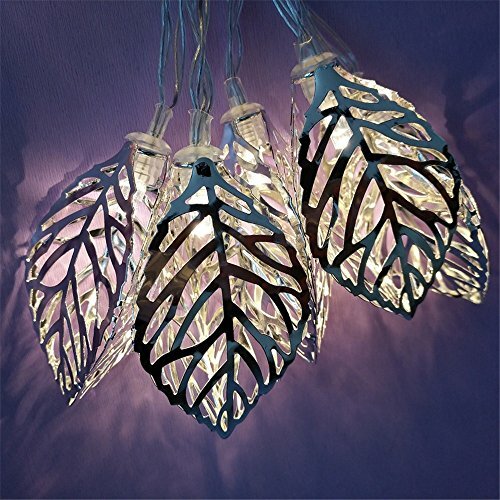 ✔Great for indoor / outdoor lighting applications. Great for patios, decks, weddings, tents, pergola, bistro, backyards, trees, pool umbrella and Christmas, wedding parties, etc.